As a woman living in the 21st century, fertility can certainly be perceived as a blessing and a curse. The week-long menstrual cycle each month is quite often the feminine curse that restricts woman from activities, zaps her energy, heightens her sensitivity, and sends her male counterparts heading for the hills. Sure, with modern advances woman are able to swim and continue to participate in normal exercise – although they may not really feel up to it. Married couples more often than not also take a break from intimacy during this time. But with all of these setbacks due to our female cycle, there is one very important thing that we are never excluded from – and that is worship. 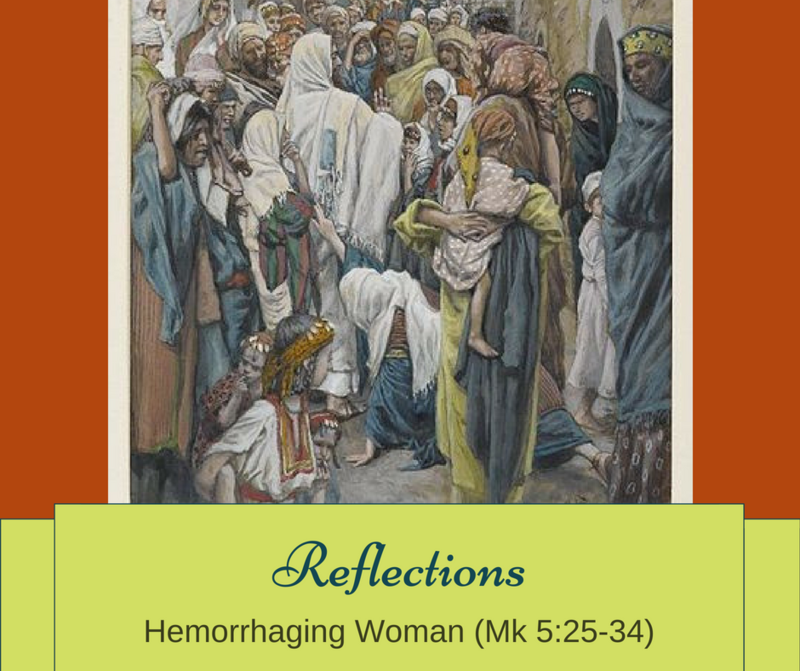 The hemorrhaging woman in Mark 5:25-34 speaks of a woman who was truly cursed by a 12-year flow of blood! I believe that there is no day in age when the prospect of this will not been seen as an insufferable curse, but in the age of Jesus it was a living death. If the woman was married, she would have been forced to be separated from her husband and her family, and she would have suffered 12 years of the impossibility of the conception of children. If she was not married, then none of this would even be a possibility for her. The hemorrhaging woman was also spiritually unclean, which not only meant that everything she touched was unclean, but as well, she was forbidden from the temple and any religious practice. Imagine being excluded from the sacraments and the church building itself for 12 years! No adoration, no mass, no access to a priest or spiritual director, no direction at all – death. We also know that this woman had physically suffered from the hemorrhage. She did what any of us would do in the face of such an ailment – she went to many physicians and spent all that she had looking for a cure. Unfortunately, her condition only grew worse. I imagine the frustration I would feel after 12 years of physicians and the many remedies tried under their care. Exhausted and depressed at the prospect of being broke and physically worse off than when I started, I would want to give up – to curl up somewhere and die. But the woman heard reports of a miraculous healer named Jesus. Despite the fact that she was deemed unclean, she fell in with the crowd of hundreds or thousands who had come to him, and she touched the rabbi’s garment. 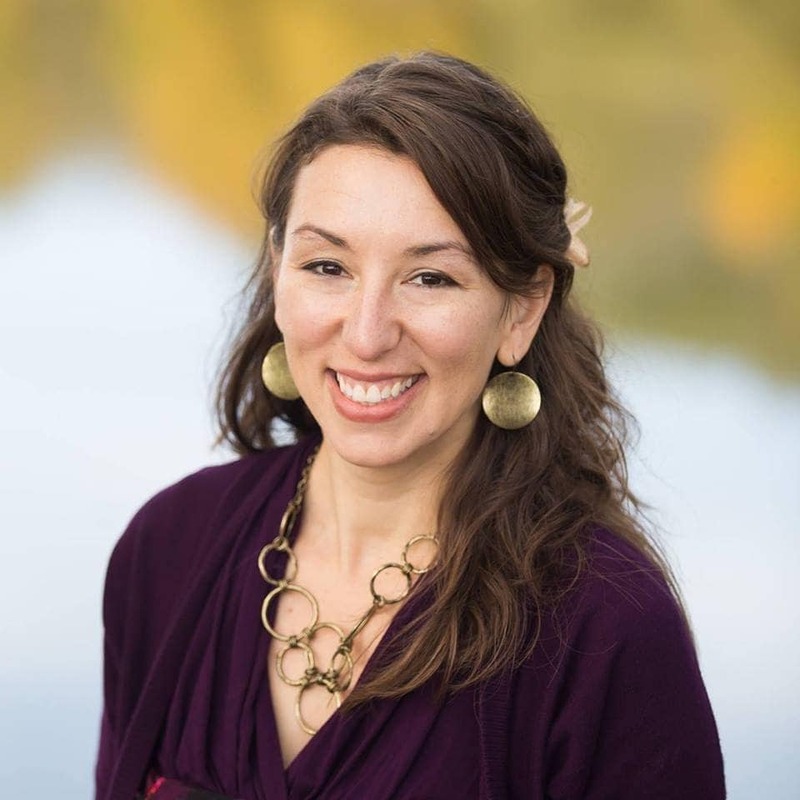 Do you believe that a woman who had exhausted all resorts was optimistic enough to at last know where she would find healing, or was it something more – was she inspired by faith? His disciples turned to him in disbelief, looking at the large crowd of people pressing in on him from every side. There were probably hundreds who had touched or brushed past him, and he was asking who among the large crowd had touched his garment? But Jesus looked for her specifically, because only for her did his healing power go forth from him. Imagine how many people had touched his garments, and imagine their many crosses and ailments. Yet, no healing power went out to them when they touched him. It was only through faith that the woman received the power of Jesus, that none else in the crowd received. This certainly speaks to the mighty power of God; both to save and to uphold justice here and in eternity. This same phrase is used of the hemorrhaging woman, who responds to Jesus’ question of who touched him, with “fear and trembling.” She falls down before him and tells him the whole account. Perhaps a just response to an unclean woman joining a crowd and touching a rabbi would have been stoning to death. Imagine the horror of the rest of the people in the crowd as they heard the woman confessing what she suffered and what she had done. Her faith would either save her or end her life in this very moment, and all waited on Jesus to know which. Jesus calls her daughter – a familial term, and says to her that it is precisely her faith that has healed her. Not only is her life spared, but she is now healed of this 12-year disease, and returned entirely to society, family life, and to the temple. Jesus sends the woman forth “in peace.” This is the way the priest ends every mass – sending us forth in peace to preach and tell the good word! Am I approaching him with the extreme certainty of healing, enlightened by an immense depth of faith? Am I working out my salvation in fear and trembling? Would I risk all to be healed and restored in him?